While lengthy, the introductory quote can be simplified as follows: habits you form are either conducive or disruptive to your sleep – any disturbance to regular, routine sleeping patterns can be damaging to your mental and physical health. “Regular, routine sleeping patterns” is otherwise known as the body’s circadian rhythm. Nearly every living thing on earth has a natural sleep cycle – a survival mechanism born from evolution. Before we begin, it is important to understand the other causes of sleep disturbances. The last thing we want is for our readers to ignore signs that could implicate other health problems. – Medical: allergies, anxiety, depression, gastrointestinal problems, arthritis, asthma, neurological disorders, thyroid problems, and acute or chronic pain. – Medications: allergies, asthma, birth control, cold and flu, depression, heart conditions, hypertension, and thyroid conditions. – Underlying sleep disorders: sleep apnea, restless legs syndrome (RLS, periodic limb movement disorder (PLMD), and narcolepsy. About 90 percent of insomniacs fall asleep too early during the day. Hitting the mattress too soon is often the result of staying up past regular bedtime hours – and this throws your sleep/wake cycle off balance. Rectifying this problem is not always easy. A good first step is to reserve the times spent in your bed to “wind down” or sleeping hours. Circadian rhythm is a term you’ll see a lot of in this article; because, when it comes to establishing healthy sleeping habits, this internal body clock must be “set” and maintained. Doctors who specialize in sleep medicine emphasize going to bed and waking up at the same time every day as perhaps the best sleeping habit. Many of us love our morning (or afternoon) cup(s) of Joe. The mistake that many of us (including this writer) make is not counting our caffeine intake. The Mayo Clinic states that a healthy adult can consume up to 400 milligrams (mg) of caffeine – or about 3 cups of coffee. Caffeine, like all drugs, has a half-life – or number of hours that 50 percent of the substance remains in your system. Caffeine has an average half-life of five to six hours; which is why it isn’t a good idea to drink that soda, coffee, or tea during late afternoon or evening hours. The hours of sleep we need is highly individualized. The National Sleep Foundation (NSF) recommends 7 to 9 hours of sleep for healthy adults – and this number seems about right for most. However, for some adults, this recommended amount is too much or too little. A good barometer may be when you can fall asleep at a decent time and wake without an alarm clock. Guilty as charged for this writer. We love our gadgets, but they’re counterproductive to sleep for a couple of reasons. First, playing with our e-toys stimulates the brain (we’ll get to that). Second, modern electronics emit a particular type of light that disrupts the natural action of melatonin – our brains “sleep” chemical. This one’s hotly debated. Some experts say, “do some light activity,” still others: “lay there until you nod off again.” As with hours of sleep, whether to stay in bed or get up appears individualistic. The solution: do what’s best for you. However, if getting out of bed and doing certain activities heightens your awareness, it’s probably best to lay in bed and rest. We get bored easily, even when our body tells us to rest or sleep. That said, engaging your brain (read: Facebook, Twitter, or mobile gaming) is probably the worst thing you can do – as you are almost guaranteed an entirely lousy night’s sleep by doing so. – Set the alarm for 60 minutes before bedtime. – Spend the first 20 minutes finishing up any “must do’s”; the next 20 minutes on sleep hygiene (brushing teeth, showering, sleeping attire), and the last 20 minutes doing something relaxing (reading a book, deep breathing, meditation). – After the alarm goes off, it’s night-night time. Please don’t have a digital alarm clock facing your bed’s direction; this is especially important if you’re having difficulty falling and staying asleep. Why? 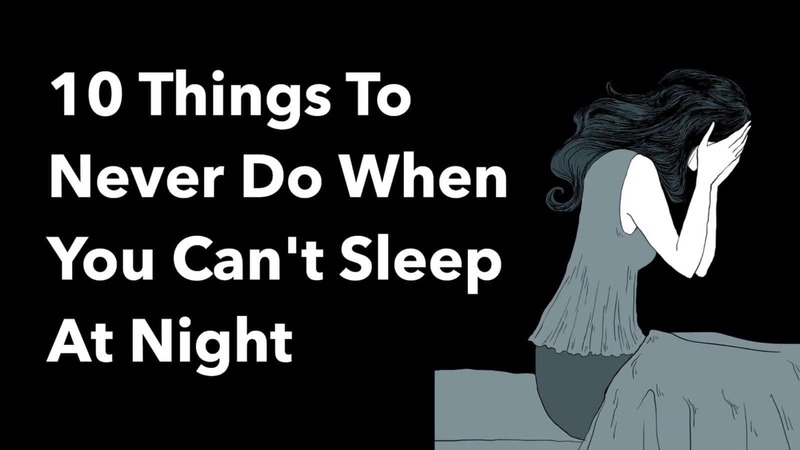 Because if you wake up in the middle of a bad night’s sleep and see 3:15 AM staring back at you in bright red digits, you’ll immediately begin mental math about how many hours of sleep you could “still get” (but probably won’t). The above-described scenario releases adrenaline and cortisol in your brain which, you guessed it, promotes wakefulness.